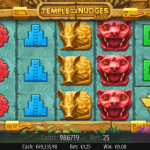 Jungle slots are hotter than ever and no one creates these type of games like NetEnt does! Jumanji™, Jungle Spirit™, Gonzo’s Quest™ and the new Temple of Nudges™ slot will bring you to the deepest of the jungle during April at All British Casino with a chance to find your share of the £1,750 treasure! Which jungle slots are involved in the tournament? Jungle slots are more popular than ever before and I totally understand why! The jungle offers an environment that keeps on amazing! No matter how many times you visited a jungle, the next jungle will be different again! The one jungle offers another animal kingdom than the other while some jungles are known for the diversity in flora! 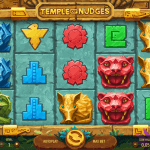 NetEnt, however, has a focus on the fauna found in a jungle and in the past years, many jungle-themed video slots were created including Gonzo’s Quest™, Jumanji™, Jungle Spirit™, and Temple of Nudges™. Gonzo’s Quest™ was the first jungle-themed slot launched in 3D almost 10 years ago but is still as appealing as it was back then! Gonzo, also known as The Gonz, is the favourite of many and until today, millions of players enjoy his moonwalk while playing the Gonzo’s Quest™ slot. 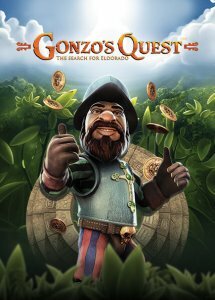 Join Gonzo on his quest for the Lost City of Gold, Eldorado, and you might find your share of the £1,750 treasure hidden in the deepest of the jungle! In Gonzo’s Quest™ you’ll go on an adventurous journey with the quirky Spanish conquistador Gonzo and he stole the hearts of many! But Gonzo’s Quest™ was also the first game to replace the traditional reel spin with the famous Avalanche feature, which has symbols cascading down the screen like falling rocks. And if a winning combination is formed, symbols will crumble into dust while the gaps are filled with new falling symbols. As long as there are winning conbinations, an Avalanche will be activated. More recent, is the Jungle Spirit™ slot which offers fantastic animations and an even better gameplay! 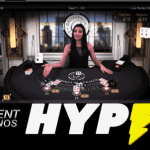 This game attracts many players thanks to its high volatile characters which can leave you with incredible winnings, especially during the free spins feature. 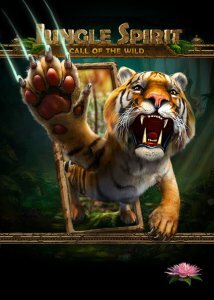 This jungle-themed video slot features Free Spins, a Symbol Expansion feature, and a Butterfly Boost feature. In the Free Spins game you get to choose your favorite spirit animal with up to five animals to choose from. Go for high risk with fewer big wins, or low risk with more frequent, but lower wins. Like this, the volatility of the free spins is in your hands! While many jungle-themed video slots are available, there’s no game like Jumanji™! 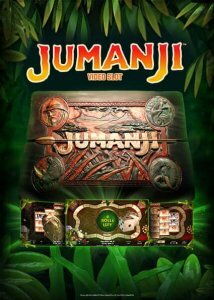 Based on the original Jumanji movie from 1995, NetEnt will bring you the one and only Jumanji™ game in which the calamities that befell Alan have been turned into video slot features. Make sure you don’t end your session on the Jumanji™ slot without experiencing the Board Game feature which is unique and among the first of its kind as it combines elements of board games and Free Spins features. While this is the feature you’ll be looking forward to, you’ll also get to enjoy 4 random features, 4 different Free Spins, a Mystery Feature, coins wins, and extra dice rolls. You might have been here before, recognizing the sights and sounds of the Temple of Nudges™ slot, but never before did you see the temple getting stirred to life. Whenever there is a winning combination on the reels, the Nudge feature is activated. After the win count up, the reels move 1 symbol down and if there is a winning combination, the win is counted up again. The Nudge feature is activated for as long as there is a winning combination on the reels. 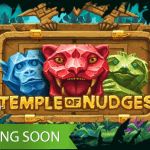 Let the Temple of Nudges™ slot lead you to ancient fortune and your share of the £1,750 prize pool, simply by activating an (almost) endless series of nudges! In combination with Re-spins, you might have found the Temple of Wealth instead, especially at All british Casino during the month of April. 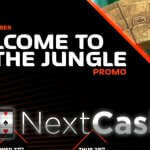 The entire month of April, until the 30th of April 2019, you have a chance to enjoy the above four jungle video slots, as well as a few jungle games from other providers, with a chance to win a share of the £1,750 prize pool. To make sure you have a chance, you play one or more of the selected games. You play at least 100 game rounds to qualify with a minimum bet of £ 1 and a maximum bet of £ 50. All registered All British Casino players can participate in the tournament. Only customers with at least one completed deposit qualify for the prize pool. 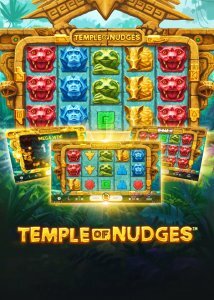 The leaderboard next to the selected game will show the current players active in the Jungle Slots Tournament and their position. Like this you know what your position is and what your chances to win are. You don’t have to be part of the Animal Kingdom to enjoy the Jungle Slot Tournament at All British Casino this month, but to be part of the Untied Kingdom is a necessity. 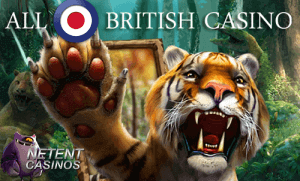 If you are British, you can become a registered player at All British Casino in no time, after which you can join the Jungle Slot Tournament. Because from this moment on, there’s a 10% Cashback offer available every single day! If you’re a registered player and made a first deposit at All British Casino, you can enjoy the 10% cashback daily. Cashback is calculated from the first completed deposit and all future deposits will be added to the counter and all future withdrawals will be deducted from the cashback total.